With a stay at Osaka Namba Grandi in Osaka (Nishinari), you'll be close to Spa World and Osaka Science Museum. 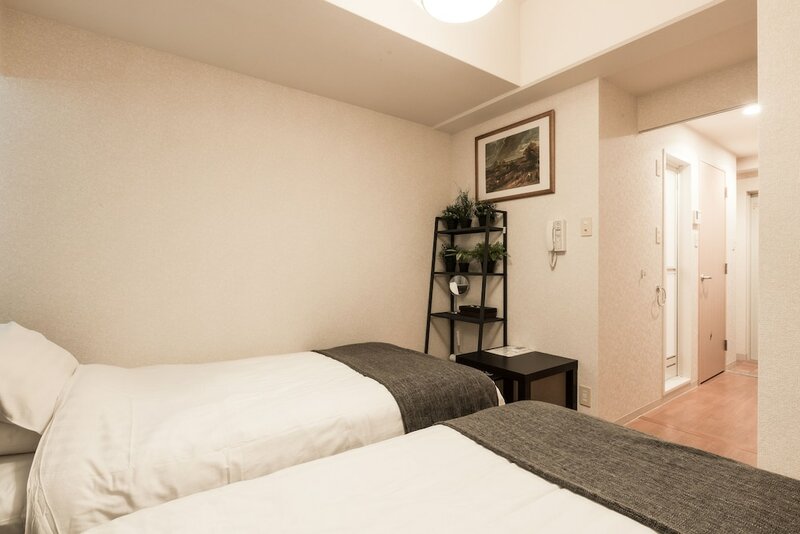 This apartment is within close proximity of Tennoji Zoo and Tsutenkaku Tower. Make yourself at home in one of the 21 guestrooms featuring refrigerators and microwaves. Rooms have private balconies. Prepare your meals in the shared/communal kitchen. Complimentary wireless Internet access is available to keep you connected. Private bathrooms with separate bathtubs and showers feature deep soaking bathtubs and complimentary toiletries. We have included all charges provided to us by the property. However, charges can vary, for example, based on length of stay or the room you book. A city tax will be collected at the property effective January 1, 2017. The city tax ranges from JPY 100-300 per person, per night based on the nightly room rate. The tax does not apply to nightly rates under JPY 10,000. Please note that further exemptions may apply. For more details, please contact the office using the information on the reservation confirmation received after booking.